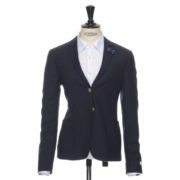 Navy blazer in a 380 grams heavy structured fabric. The material is carefully chosen. 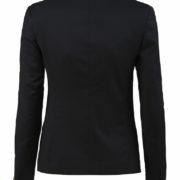 A mix of 70% wool, 27% polyester & 3% stretch, sets the blazer up to be a perfect working blazer. Stretch for your comfort and the mixed quality for less wrinkles. 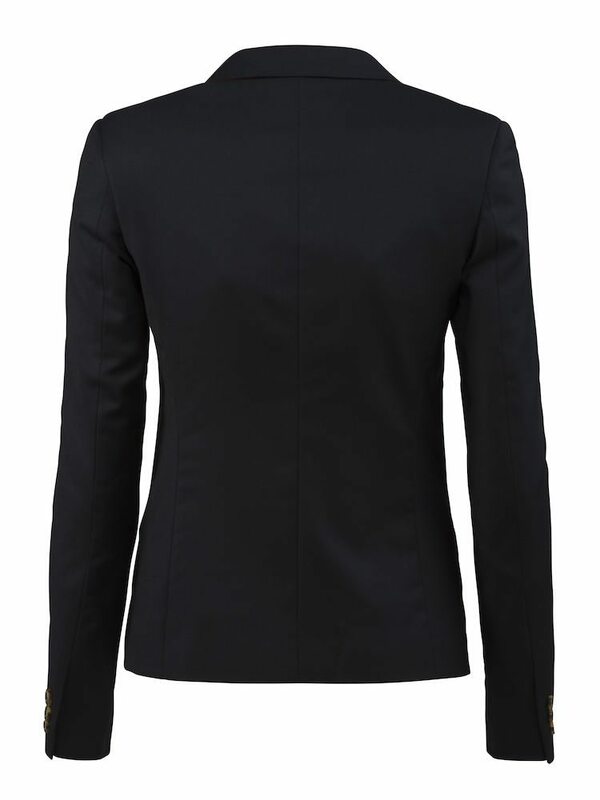 Fold it gently into your suitcase and it is ready to wear when you arrive. Again, no wrinkles. 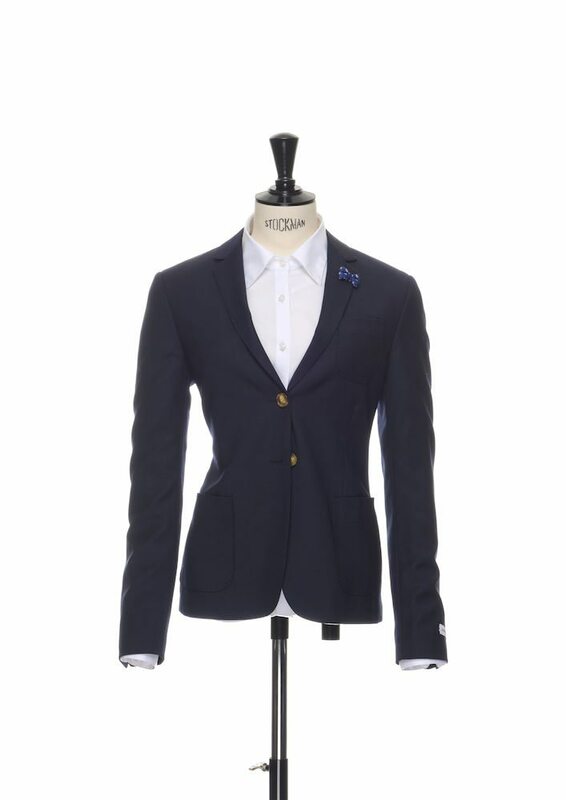 Other powerful features are; colorful interior, AMF stitching, horn buttons, kissing buttons at sleeve, free handkerchief and a matching button in placket.